This piece was published in The Big Issue in March 2010. The last remains of Ireland’s long and extraordinary economic boom are visible whichever way you arrive in Dublin. By air, construction cranes hang frozen over the Liffey: monuments to dead development near the mouth of the river. Driving into the city from the west, the half-finished housing estates, unlit and abandoned, leave the outsider with an eerie sense of calamity, as if passing the scene of some terrible accident. Nearly eighteen months on from a world-wide crash, the Republic remains shell-shocked by the scale of its own particular collapse. The two-decade expansion of the Celtic Tiger economy had been spectacular enough to change the very nature of Irish identity, transforming the image of Europe’s poor relation from a land of saints, scholars and poteen-swilling charmers into a shining poster child for free-market globalisation. Low taxes lured the multinationals and an expanded jobs market saw a welcome influx of immigrants. Annual GDP growth rates exceeded seven per cent, and in 2004 The Economist declared that the Irish enjoyed the highest standard of living in the world. Gone was the notion of an island apart. Gone were the ancient resentments against colonial masters. “Force, history, hatred, all that” – as Bloom puts it in James Joyce’s Ulysses – was over. Ireland had turned filthy rich. All the more shocking when the bubble burst so easily. Ireland’s five leading banks, heavily invested in property, were hammered by the US downturn. Many American firms packed up and left. Tax receipts from the country’s diminished class of developers and financiers dried up. Unlike Gordon Brown’s government, Ireland’s Fianna Fail Party leaders decided to ignore Keynes and the wisdom of fiscal stimulus, panicking instead about EU deficit guidelines and threats from bond market investors. Since the onset of the credit crunch, finance minister Brian Lenihan has passed a series of brutal mini-budgets, slashing public sector pay, child benefits and welfare payments. Dubbed “Iron Brian” by an initially favourable press, Lenihan boasted about “our capacity to take pain…In France there would be riots if you tried to do this”. He may have spoken too soon. A collective state of mourning – the stoicism politicians depend on at a time of crisis – has passed. The last budget, announced in December, saw state spending for this year reduced by a massive €4bn (£3.57bn). Unemployment stands at almost 13 per cent and the dole queues are getting longer. The Irish have yet to find the French taste for stone-throwing and tear gas at the barricades, but nationwide one-day public sector strikes are now under way and town centre protests over cuts are gathering an unfamiliar sense of outrage. Passing the graveyards of empty houses on his way into Dublin leaves Paul Rothery, a plumbing sub-contractor, shaking his head in frustration. At the height of the madness, the 55-year-old’s small firm was completing three bathrooms every two weeks. Then the phone stopped ringing. “Building was so big it was unbelievable,” he recalls. In the city centre, Dublin appears as lively as ever, until you notice all the To Let signs along Grafton Street, the listless staff standing around at the doors of once-busy hotels, and the graffiti in the financial district that reads: ‘FIANNA FAIL – CORRUPT SHOWER OF BASTARDS’. At the offices of the Irish Congress of Trade Unions (ICTU) in Parnell Square, Macdara Doyle, one of the senior officials, recalls the morning Fianna Fail ministers told him there would be no budget negotiations with the unions. “Twenty years of trust evaporated in half an hour,” he seethes. Hardly an appealing prospect to a generation of young Irish men and women raised to expect nice cars, property portfolios and a bit of money in their pockets. Many are leaving the country. Yet Stephen McLarnon, organiser of Working Abroad trade fairs, does not feel the new wave of emigration is cause for despair. McLarnon says he can have young people out of the country in 48 hours and working within two weeks. 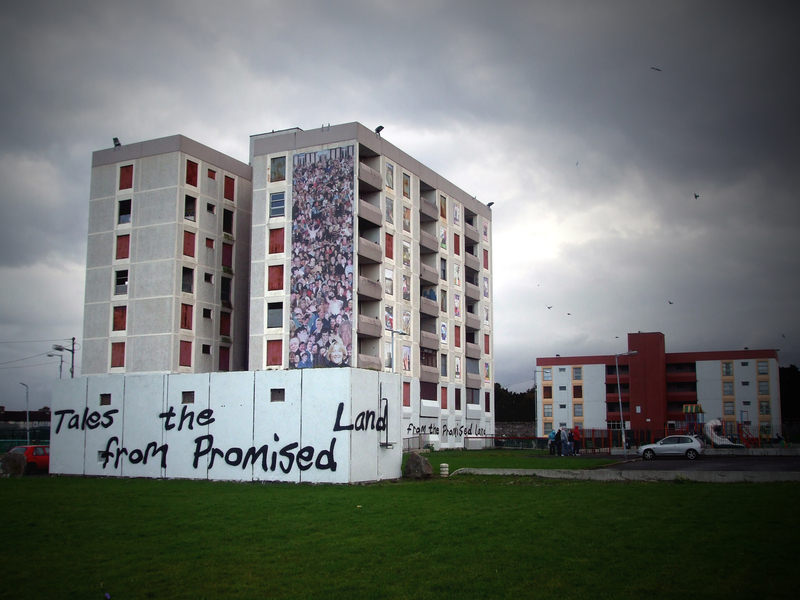 IN MOYROSS, IRELAND’S largest social housing scheme, a second chance at life remains an even more distant dream. Found just a few miles from Limerick city centre, residents struggle with their neighbourhood’s weighty reputation for poverty, drugs and violence. Celebrity crime reporter Donal MacIntyre was here recently to make a documentary about some of Ireland’s roughest streets. “He did his bit to camera and then buggered off,” says one Moyross old-timer. The most jarring difference between the area and Britain’s neglected sink estates are the horses roaming free on the patches of grass between boarded up houses. 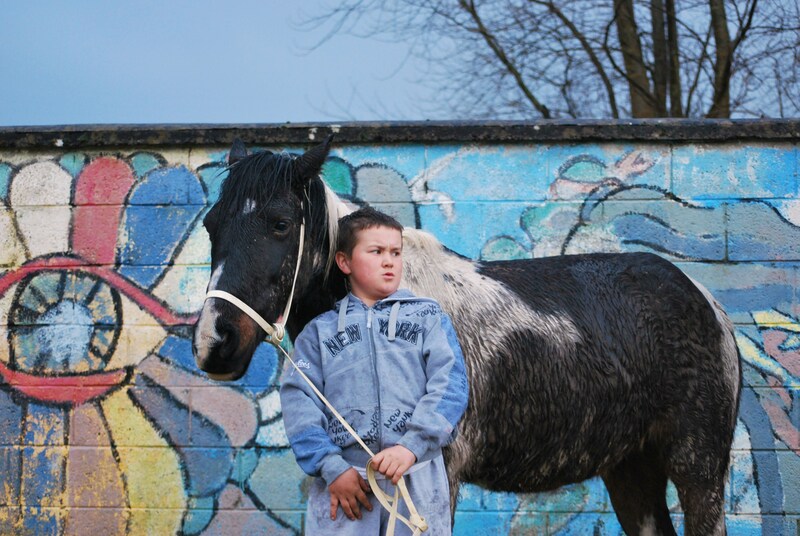 Dean Quinn, an 11-year-old, is the proud owner of a pony named Blue Flame. 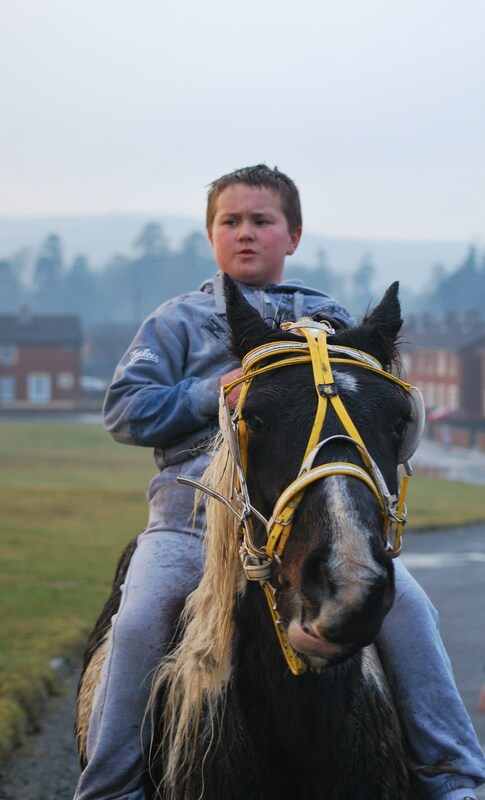 He shows me the best routes for galloping away from the “paddywagon” whenever the police come to insist his dad’s horses are kept in the fields behind the estate. Other odd sights in Moyross include the grey- cloaked Franciscan monks throwing an American football around with teenagers. The members of the Franciscan Friars of the Renewal, who have all taken a vow of poverty, came to live here in 2007, not long after a petrol bomb attack on a car containing five-year-old Millie Murray and her seven-year- old brother Gavin brought the area further infamy. 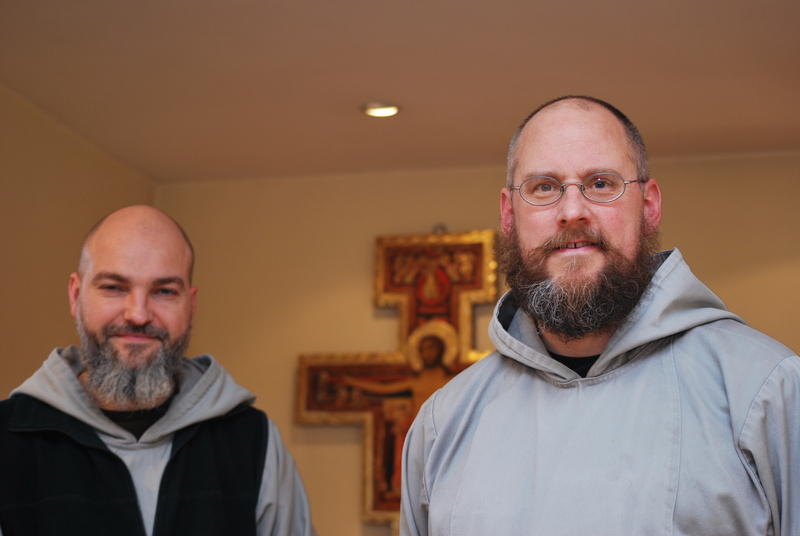 “It took a bit of getting used to, having guys with flowing gowns and big beards around, but we’ve really got to know people here,” smiles Brother Sean (pictured left, with glasses). Desertion of a more material kind is all too familiar. Limerick had been promised a €3bn regeneration programme for its most deprived communities over the next 10 years, but the government is now backing away from the commitment. Local politician Willie O’Dea conceded that the state’s plan to create a new town centre and sports facilities in Moyross would be thwarted by the collapse in Ireland’s economic fortunes. Cynicism stretches across the country. At St Michael’s Estate on the outskirts of Dublin (left), campaigning resident Rita Fagan explains why she and her neighbours are fed up hearing about regeneration. Ten years after plans for new council houses, private flats and a community centre were first announced, the battered 1960s tower blocks are still standing. FRIDAY NIGHT in the city centre, and young Dubliners are still in search of the high life. If you have a bit of money, it’s slightly cheaper to come by these days. Some aspirations are difficult to shake off. The front pages of Irish papers are dominated by pictures of multi-millionaire property developer Johnny Ronan and new squeeze Rosanna Davison. The ageing (56) buccaneer, son of a Tipperary pig farmer, has ditched brunette model Glenda Gilson to fly her blonde colleague to Morocco. It’s the kind of glamorous villainy that appeals to both envy and outrage as the super-rich escape the worst of the recession. “Everything here had turned showbiz,” explains a reporter at one of Ireland’s tabloids. The rolling hills and poets’ pub crawls are still popular with tourists, but much of the past has been retouched or discarded in the rush for the new. 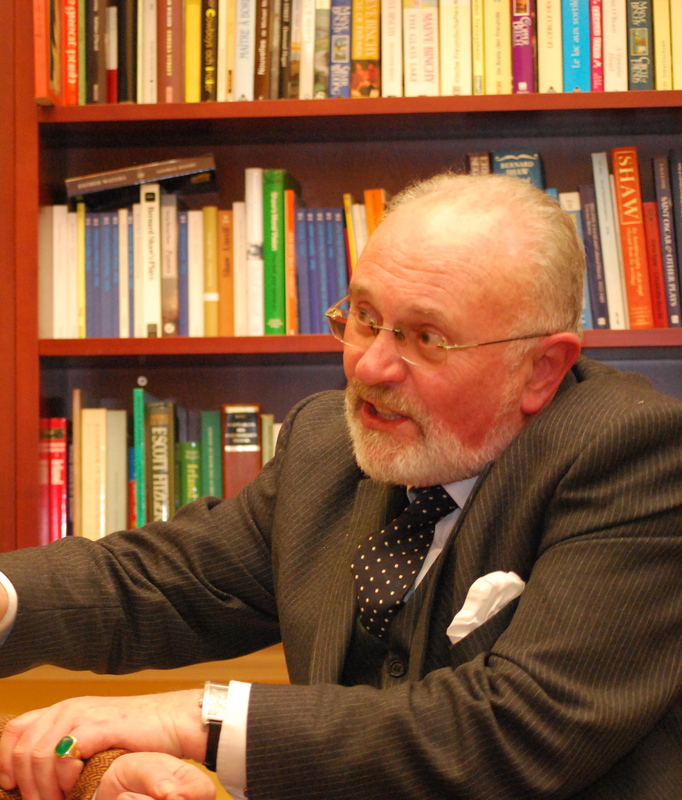 Senator David Norris (below), an independent politician in Dublin known for campaigning on gay rights and his melodious recitals of James Joyce’s Finnegans Wake, is happy to wax lyrical on the big cultural changes. “Vulgarity is the word,” Norris sneers. “Ordinary girls were buying handbags for €5,000 for goodness sake. The Celtic Tiger turned us from unthinking Catholicism toward unthinking materialism. I don’t think there’s too much guilt, no real mood for self-flagellation. Ireland is struggling to adjust to the vicissitudes of life in the global economy. Ongoing revelations about the Catholic Church and child abuse have pushed the country’s traditional moral compass further toward the sidelines. It is a moment of national reflection nonetheless, a chance to consider the boom and bust of the soul; to wonder how money might best be made, managed, shown-off and shared. For the young cubs of the Celtic Tiger, everything is up for grabs.